As we are about to close another year and prepare for the new one we all have a hope for the very best that year can bring. My year was one of the better years in terms of health and family, I guess that's pretty much all that matters. In the life of a fly angler my last year was a banner year. It started with a brook trout and ended with a brook trout. The year ahead has a great deal of promise for me and I hope I can keep some of them. A stream, December 30 2015. My last outing of the year. Peaceful solitude. My last brook trout of '15. Thanks. Life was good in brook trout forest in 2015. Here's wishing all of you a very Happy New Year. Hemlocks, and laurel with a few hardwoods stand as sentinels on this misty cool late December morning. The little stream flows out of the hills of eastern Connecticut tumbling over rocks and boulders on a migration to a larger body somewhere. On this morning I walk along this stream in search of wild brook trout. Is it the only quest this day, not hardly for the finds are many and the rewards are great, the brook trout are the crowning glory though and this day was a grand one. The waters were looking glass clear. I usually spook the little trout from their holding lies at the back of the pools but today there were few in these locations and I soon found them in the heads and just below the plunges. I can only guess as to why they were there but food had to be a reason. The brook trout seemed to take the fly as I gently lifted it to the water surface. They were cold and beautiful as they lay in my hand. The early winter landscape looks barren. Trees devoid of leaves and stream side vegetation gone. There is still beauty in such quiet surroundings. This wild spirit of the stream was taken as a coyote looked on. He was a few yards away from me and looked on for a few seconds and bolted. I came upon these lush green moss covered rocks. Quietly I sat here and enjoyed a cup of coffee from my thermos. The brew had cooled some but none the less it was welcomed. My day was coming to a close and one of the last runs I fished I hooked a little surprise. I have never taken a wild brown in this stream, but there he was. A handsome fellow. Look at his rear fin, look familiar? This was a wonderful day. 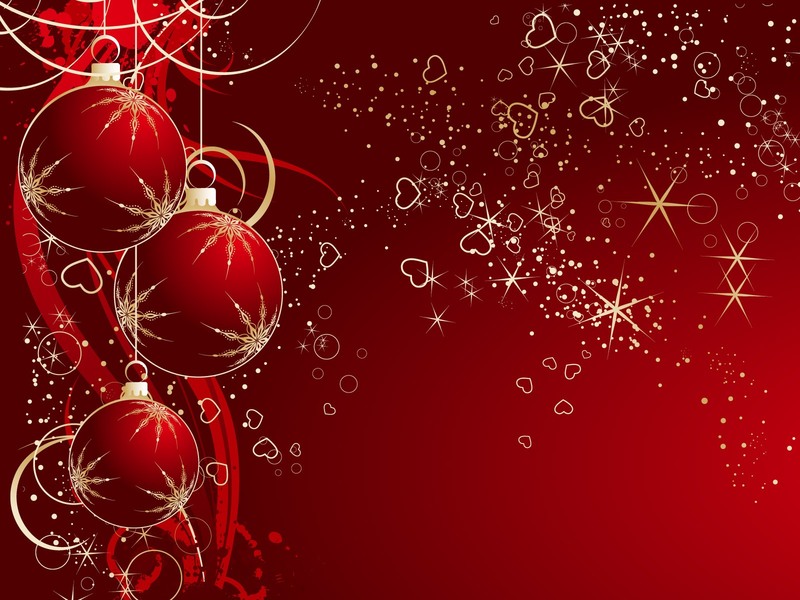 I hope everybody had an enjoyable Christmas. Last night I had some time at the vise and took the opportunity to tie a few soft hackled flies. I primarily used two types of feathers, Starling and a Badger hen neck. Also used were threads of various colors, and some embroidery thread along with hares mask dubbing and two hook types. I believe these flies will work at most times of the year and give a pretty good general representative impression of various insects. 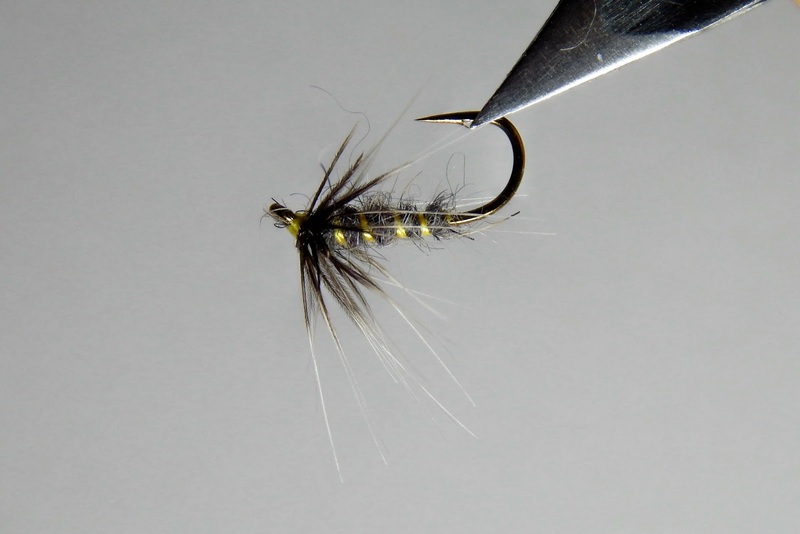 This fly uses a dark hackle, with a #726 yellow embroidery thread body. A thorax of a mix of brown and ginger hares dubbing. This fly has a body dubbed of a mix of hare and gray squirrel, the rib is embroidery thread and the hackle is badger. This fly uses a hook with an upturned eye. Certain spider patterns look good tied on these hooks and I think this is one of them. The body is purple thread, with a dubbed thorax of natural hares mask and hackle of Starling. 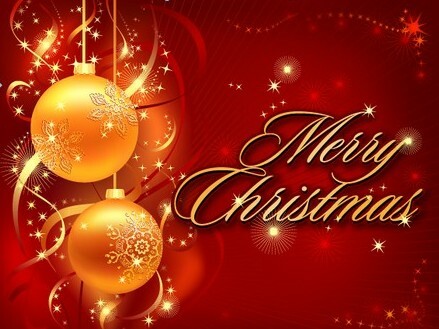 Wishing all of you a Very Merry Christmas. Enjoy all this season of has to offer. Today I fished a little stream that flows through some beautiful woodlands. The hemlock dominate as they seem to whenever brook trout are home. But there are the usual hardwoods and plenty of mountain laurel. The stream was flowing with good volume, the rains have indeed helped. The pools were inviting and had that awesome plunge at the heads and those long slick tail outs. I found brookies in all parts of the stream and so they felt at home through out. I started fishing dries and soon found out that's not what they wanted. As soon as I went sub-surface the strikes started. This stream like many in the northeast took a beating from late summer through early fall. Low conditions were the norm. But I am happy to report that the brook trout have endured. This stream has some of the most beautiful brook trout in Connecticut. The next one brought to hand is prettier than the last. This section was so moving to me that I ran some video of it. It also held a jewel or two. This was probably my last outing until after Christmas. We are expecting more rain so I'm confident the fish will be happy and waiting. While researching North Country flies I came upon some interesting writings on the use of hooks. Most tyers are of the same thought as to the fact that they prefer light wire hooks the kind that you would use on dry flies, and I am in agreement with this for the reason the "spider" should be fished just under the surface. A heavier hook would bring this type of fly to perhaps a depth that's not in the best interest of gaining the most movement which is paramount in the flies success. While tying several patterns I chose a variety of dry fly hooks. Each proved to be worthy, but there are a few that have been a tad better in their ability to hook quicker and hold fish better. Some even have a fine look to the pattern when used. While I don't think it makes a difference as far as how the fish sees it, cause all varieties work. But as a fly tyer I think I like to gaze upon a fine fly rather then something else. These two patterns are the same. The difference is the hooks. The top fly is pale yellow thread body, a bleached ginger squirrel dubbed thorax, and partridge hackle. 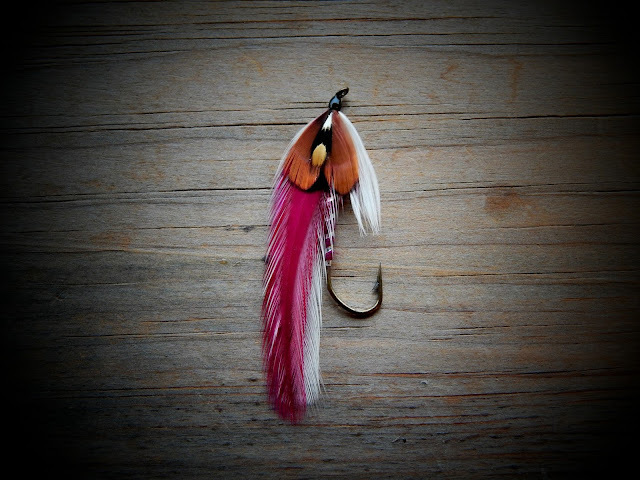 The hook is a TMC 100 dry fly hook #14. This is the exact same pattern only it's tied on a Mustad 94840 hook #14. Though they are the same this one looks smaller, and has the wide gape. Keeping Score...why beat yourself up? Good morning folks, hope your day is all that you want it to be. Yesterday was a absolute beautiful day for the middle of November, oh wait this is the middle of December, just about a week from Christmas. The weather was clear and sunny and the water was acceptable for the time of year. I started my trek up along the stream, glass in hand and bomber on line. I came upon a riffle-pool I like to fish and tossed the fly upon it. A short drift later and a brookie rose not once but three times as the fly moved in the current each time missing the hook. I picked up the fly and sent it back...nothing, back again...nothing. Move on Alan. The next run I fished I had another rise and another miss. This is not uncommon and I knew the success rate would pick up. Along this beautiful stream I walked, casting and casting. It was three hours later and I realized I had not had another rise. Sitting on a rock I pondered the idea of changing flies, but that was not the answer this day. If they wanted to eat the dry fly would be the dinner. As I closed in on the end of my outing I said You are now 0-2...why beat yourself up, you did nothing wrong, besides you had a great day just having the chance to fish. As I neared a bridge that usually means the day is done, I said just fish a little further down then cut across the parking lot and go home. The pool was dark and the flow very slow. I dropped the bomber smack dab in the middle. The fly sat almost motionless for a second or two when it was smacked. A spirited fight and a wild brook trout was at hand. The score now 1 for 3...thank you fontinalis. The winner of the flies is "BILL THOMAS". Bill you can email me with your shipping info. Thanks to all of you who participated. I was invited to fish a small stream with fellow fly fisher and blogger R.M. Lytle. He had come across this gem of a stream while checking out new places to fish. In several of his posts he has shown some impressive brook trout taken from this stream, which I might add is a spring fed stream with a constant flow of cold water. When we arrived at the stream yesterday morning, parking near a bridge and looking over the stone abutment I was floored with the shear number of brook trout observed. They were scattering for cover just from that brief look. We fished the stream and each move produced the same result, brookies spooked. I think Rowan was the first to hook-up and pricked several more before I brought my first to hand. In one run I counted 9 different rise forms. Fish were taking flies of a very small size. I finally tied on a caddis pattern and my hook-up rate picked up. This stream is one of if not the best stream I've fished for brook trout in Connecticut. And I will tell you this it is the toughest stream in terms of angling. These fish are wild, spooky fish. Very well tuned to their surroundings. Not much in the way of stream photos...but a secret must be kept. Besides it's Rowans find and he will share the photos on his blog. The lone brookie to hand that I was able to snap a photo. Fly selection for me was simple a weighted green wooly bugger and I stated pretty much with it. Pete and Kirk showed up and we chose to wander the river. By the way this is the group minus 1 that enjoy a tradition of fishing on New Years Day. I was equipped with a Cabelas 5"9" 3wt, and chucking the weighted bugger was not that bad, long casts are not required this time of year. In a slack seam as the fly laid dead in the water I felt a tug then the line went straight and I felt weight. Soon the water boiled and I had my hands full. The rainbow put on a show of runs and a leap or two before I was able to gain control. A beautiful winter Farmington River rainbow. I hooked another as well as a brown which never made it to hand. I had a great day and the practice run for New Years Day. Beyond Parr Markings....Not For Me. There are those who find the call to big fish and those great rivers with storied pasts. Large brook trout seem to be an obsession that makes anglers cast all other fish to be placed second. I can't find fault with this for it's human nature. But I will share with you my thoughts. I have taken my fair share of big brook trout, mostly in Maine but also a few locally. These fish while beautiful lacked that charm and beauty that is only found in small brook trout. If you take side by side photos, one of a large 16" or better brook trout and another one 6" you will surely see the latter is so much more beautiful. When you take into account where the 6" trout lives it makes it even more beautiful. Close working in small intimate waters. 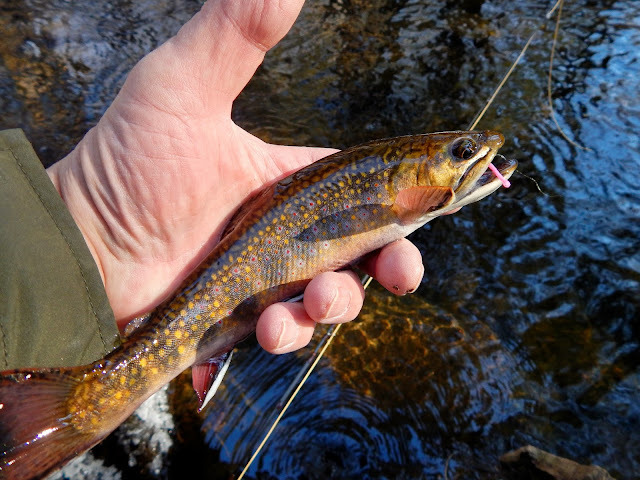 Wild brook trout, colored like no other fish that swims. Its parr markings in view. This is what I consider to be natures finest. In this season of giving I and Small Stream Reflections would like to offer you this gift of 23 soft-hackle flies. You only need to comment to be in the drawing. When you comment your name will be put into a bag and the name will be drawn by Jeanette. The drawing will be on Dec. 15th. A frosty morning, and a couple of flymphs. Yesterday I started to feel that scratch in the throat, the first sign of a cold. Last night after some real hot tea I went to bed and slept pretty sound. I awoke to the gentle prodding of Parker, we're dog watching this weekend,and he had some business to attend to. While getting dressed I noticed that the scratchy throat was gone and I felt pretty good. Out the door we went and while walking Parker I took a few photos of this frosty Connecticut morning. 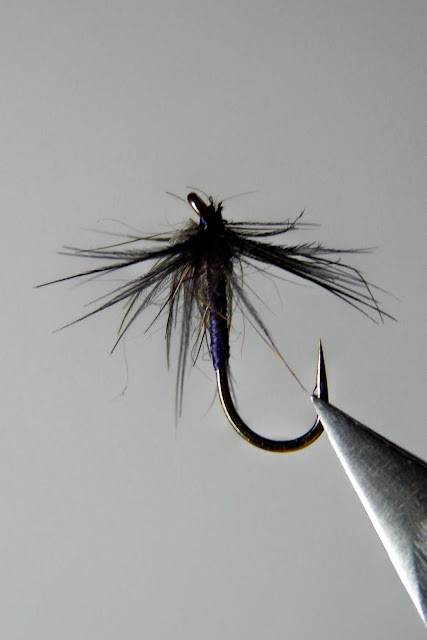 I tied a few soft hackles-flymphs if you prefer and was hoping to give them a try today, I may just do that if I still feel OK a little later. A pretty simple fly. Tail is woodchuck, only 3 fibers are necessary..body is Australian opossum dubbed sparse so orange thread can show through..fine silver wire for a rib..and brown hen hackle mottled. I found this pattern on Neil Normans blog http://softhacklepatternbook.blogspot.com/ This fly has that simplicity I love. Rangeley, Eastern, New England...what's in a name? New England, the birthplace of the streamer fly. That statement can be debated. 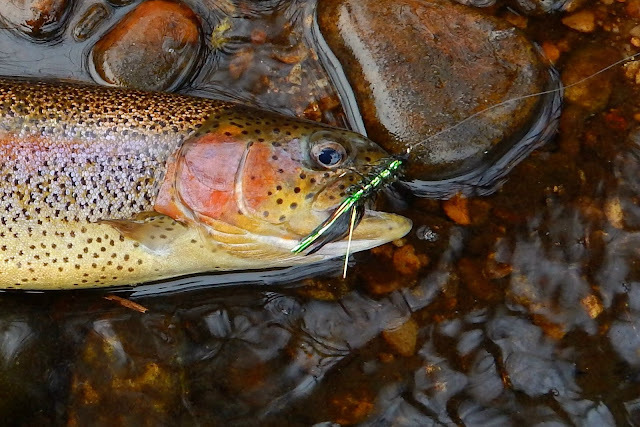 What I know of it is that a Connecticut native, Charles "Shang" Wheeler and a Maine native Carrie Stevens were probably the two in the fore front of streamer fly creation. Another side note here is the name of the featherwing streamer fly..Rangeley style, eastern style, New England style and a few more names perhaps. Noted writer and streamer fly historian Graydon Hilyard states in is book "Carrie Stevens Maker of Rangeley Favorite Trout and Salmon Flies" Carrie referred to the style as "eastern". My self I'll make this claim now "I'm no expert on this name" but I have always referred to the streamer type as "Rangeley". There are more knowledgeable people out there who can shed more info on this subject. Well back to the reason for this post. I fish a stream in Massachusetts called Avery Brook, a beautiful stream with wild brook trout. To commemorate the beauty of this stream I created this streamer fly. I guess it can be called a "New England-Rangeley style feather wing streamer. A sleek and sparsely tied group of feathers. At the bottom of this post is a link to the wonderful world of "Streamers"....the streamer list is a fantastic resource. Check it out.